As I was sitting on this tiny restaurant's terrace (1,754 meters above the sea level), my eyes were led to the blazing sun pouring over the mountain hill making the landscape look like a painting – the view was marvellous and I wished to be a painter with paint and a canvas in my backpack, because there was no photo to do justice to what was spread in front of my eyes. 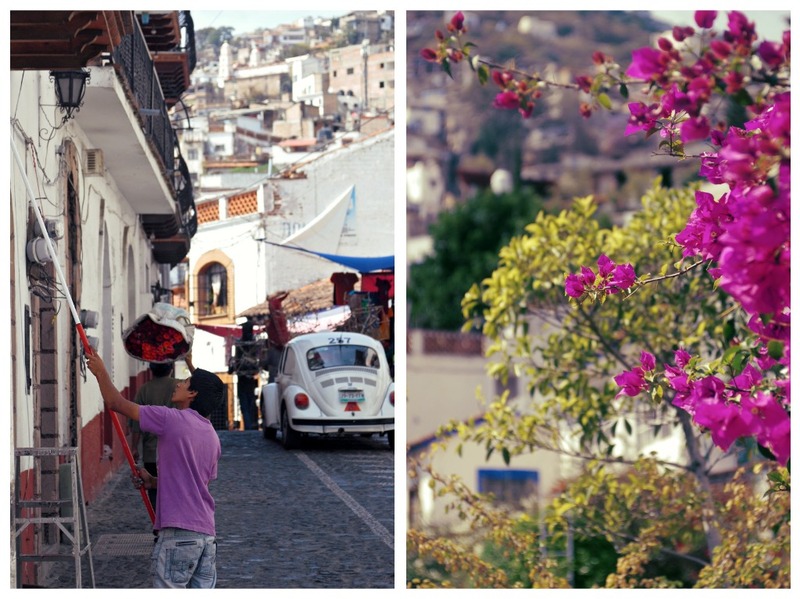 We chose to make our winter escape to the warm embrace of Mexico and we had an amazing week in Acapulco and area. 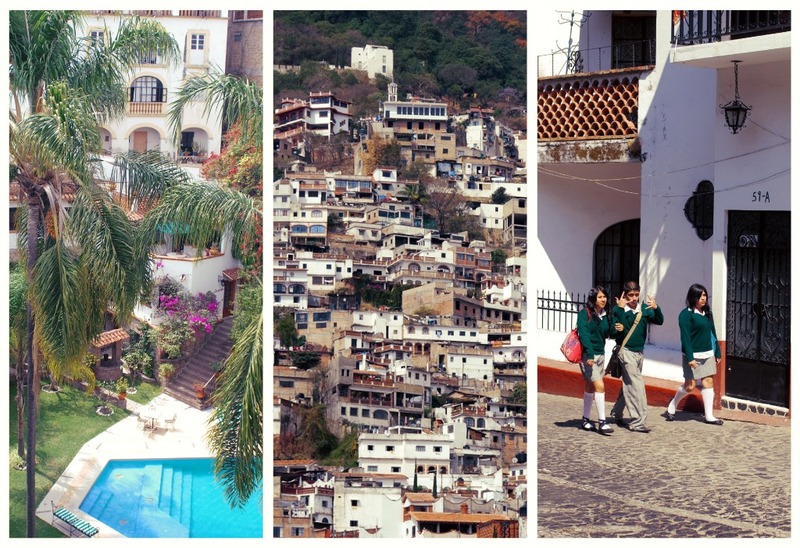 One of the highlights of our stay was this enchanting town, called Taxco. 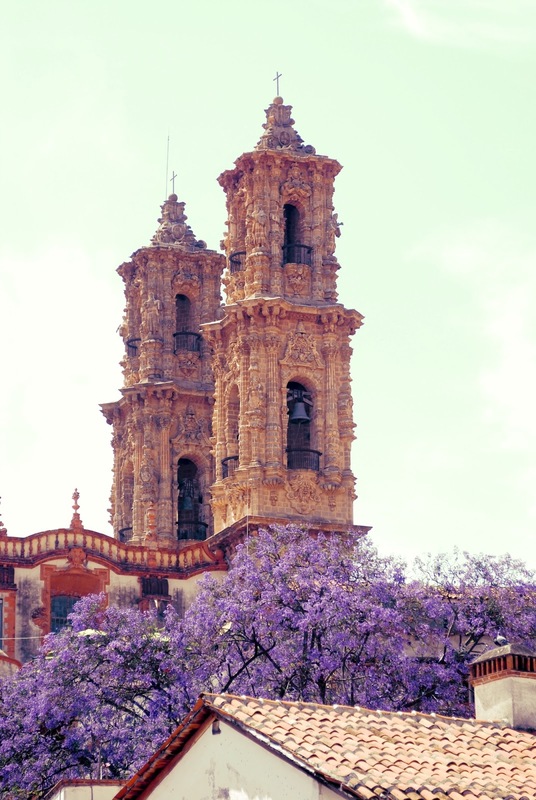 The city tumbles across a hillside with winding cobblestone streets, terracotta-tiled roofs, cozy squares, impressive churches, museums, silver workshops that have survived for hundreds of years. 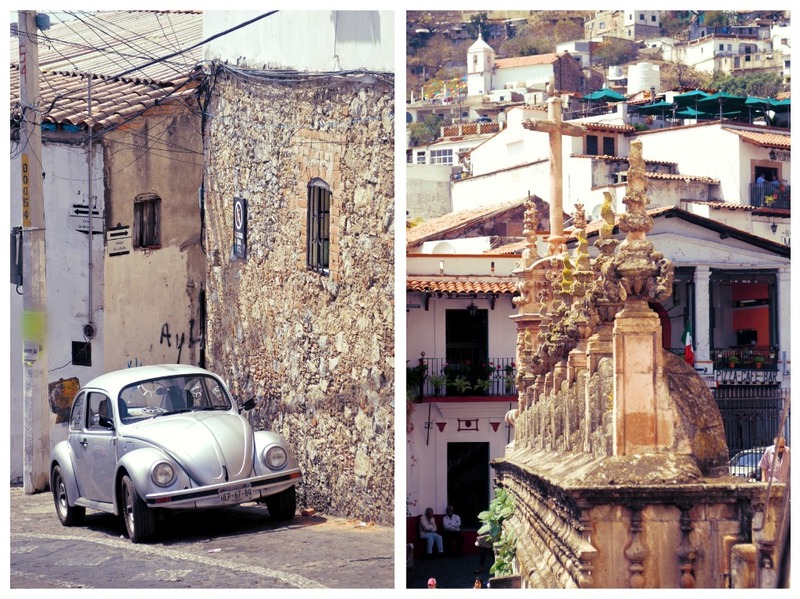 The Volkswagen Beetle, called "a belly button" by the Mexicans, is the only car used throughout Taxco, giving the town a unique charm, but you need to walk up and down the narrow streets of the city as we did in order to really get to know it. 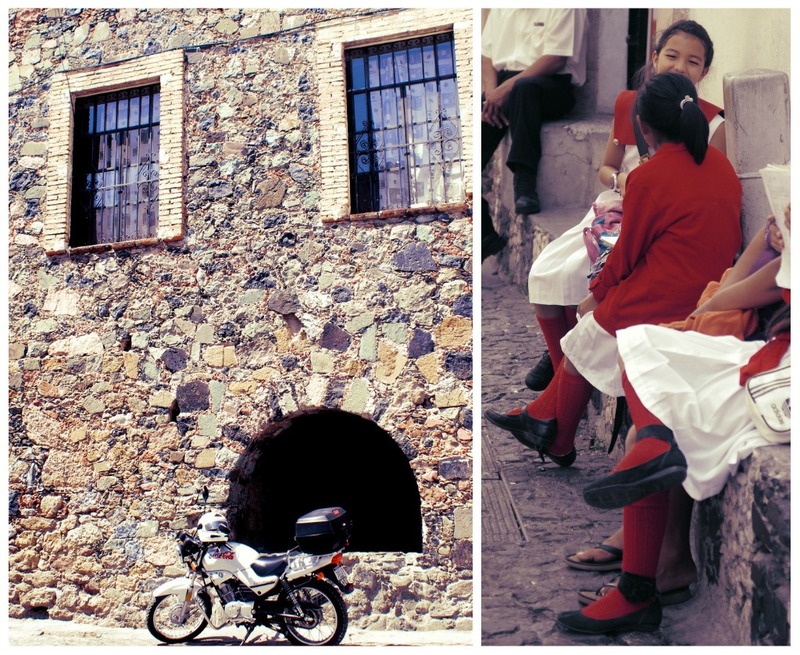 You will not only discover all its enchantment, but encounter its friendly, artistic people. 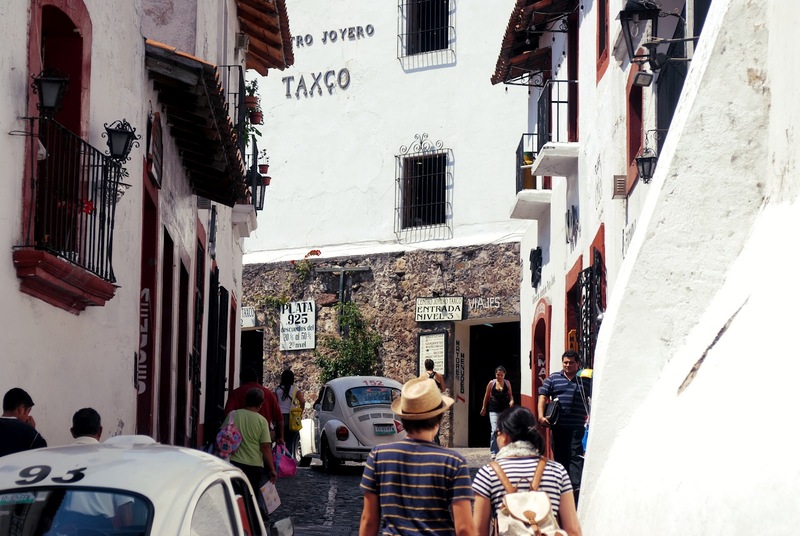 There is a great variety of crafts in Taxco and the main one is silver. 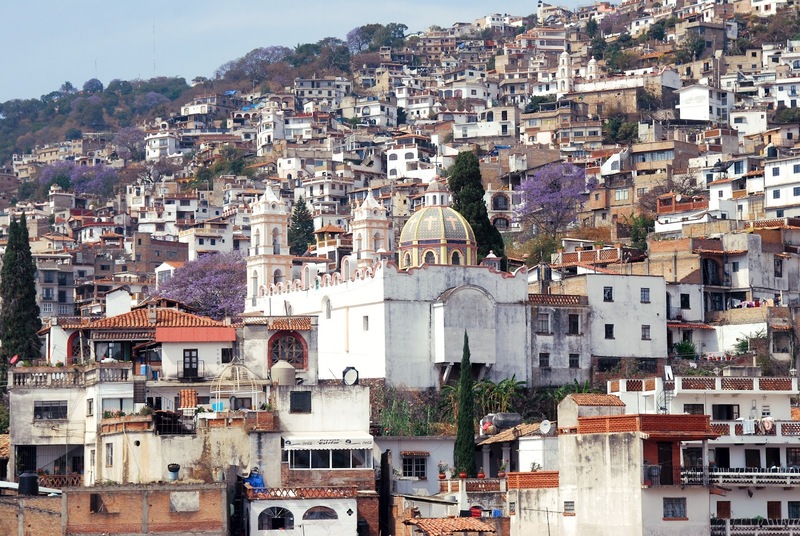 One of the exporters of silver in the world, this precious metal is the staple on which this town has thrived. Even though the silver mines are almost exhausted, the silver craftsmanship is still a source of income for people. 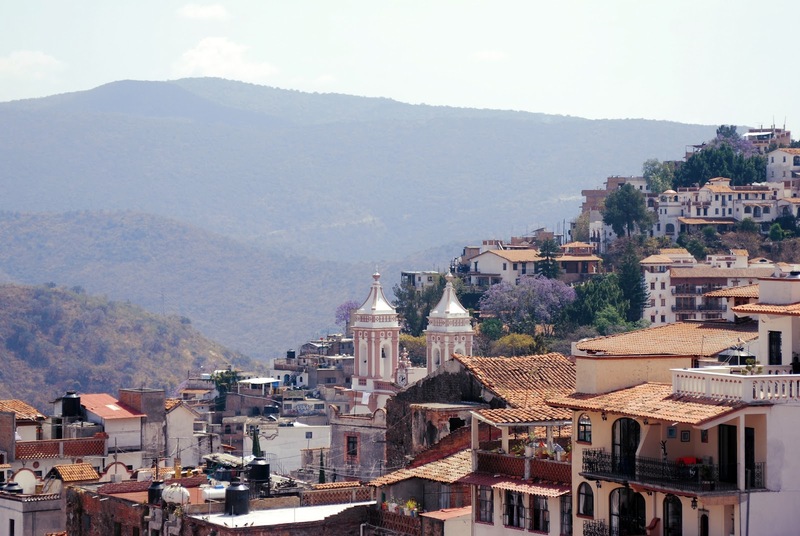 The town is known as "The Silver City" and is full of hundreds of small workshops producing all sort of silver original work as well as the great collection of William Spratling, an American designer who arrived in Taxco in 1930, trained young jewellers and with his talented work gave new life to the silver trading in the city. I was very impressed by the thoughtfully organized space of the third generation silver collector Andrea, an owner of Galeria de Arte. He demonstrated high knowledge of Mexican silver history and created quite a moment for me as he allowed me to wear Frida Kahlo's necklace. 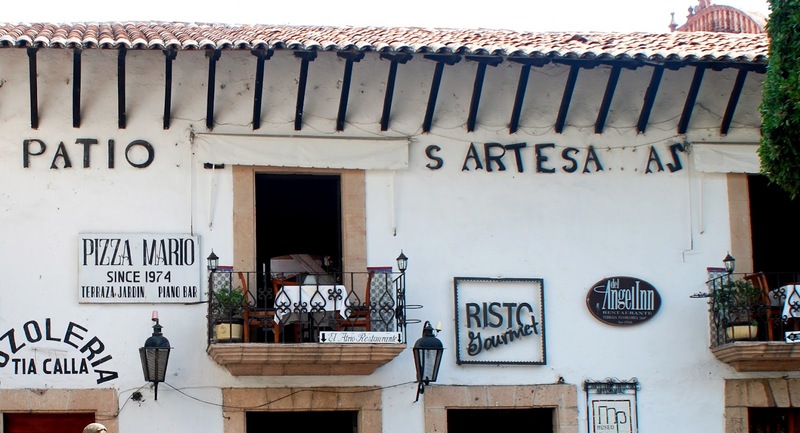 If you arrive in Taxco, please take delight in visiting Andre's shop and gallery. Two richly ornamented pink towers watch over the city and can be seen from far away. 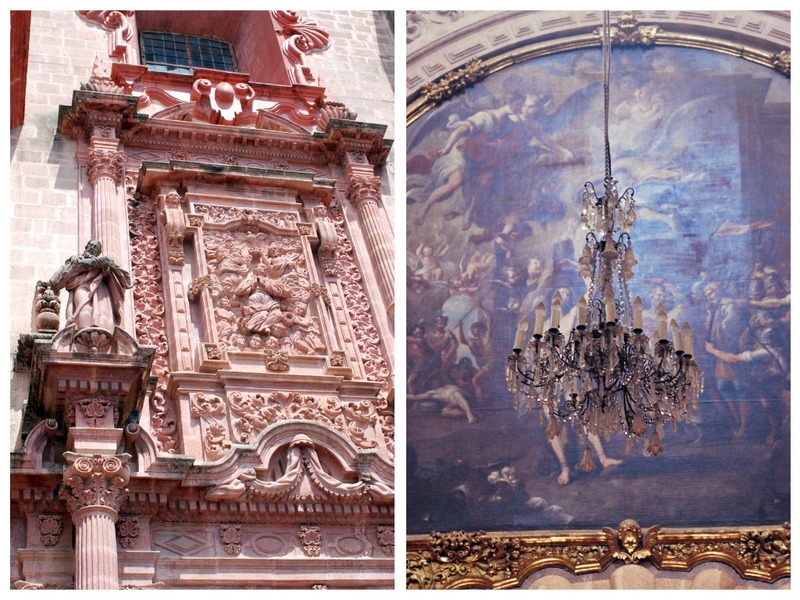 They are the towers of the majestic Santa Prisca church built in pink stone in baroque style by a French/Spaniard Jose de la Borda, who had made a great fortune in the silver mines surrounding the town. The lavish interior and exterior of the church – decorative stained glass, painted porcelain figures, gold, silver – make it an unforgettable experience of art and faith. 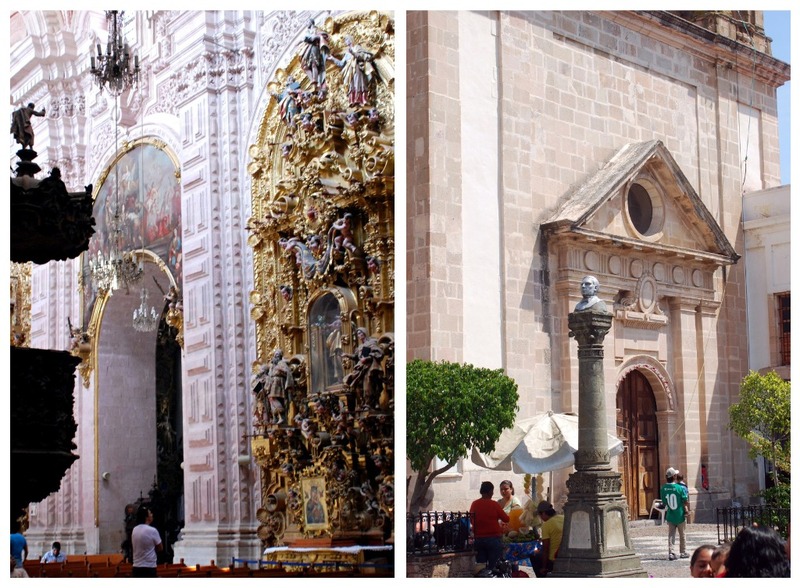 Santa Prisca church is a great pride for the locals. 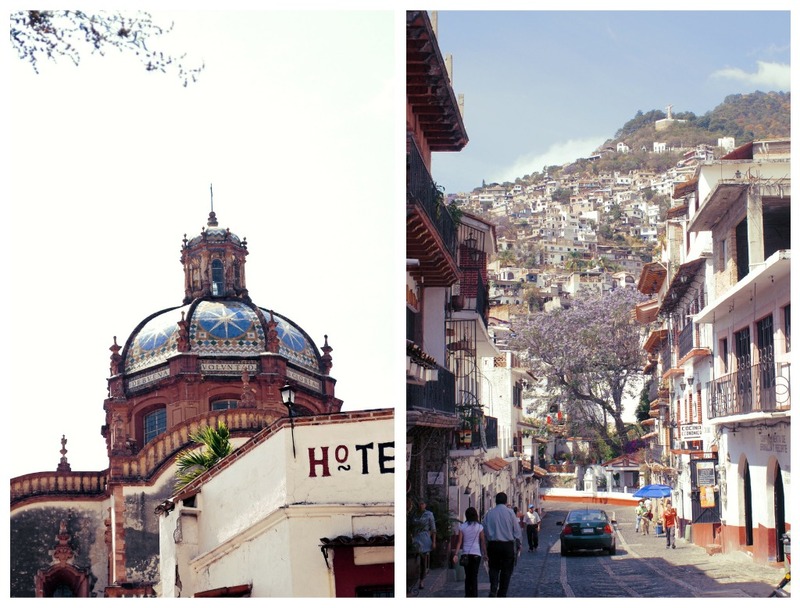 This Mexican town, located between Acapulco and Mexico City, is a truly authentic place with its own pace and character and it is kind of difficult for me to translate Taxco's magic into words. I simply know that those who once stumble into the city will come back again. Definitely. I truly believe I will visit Mexico again and not only because it has so much to offer, but because Aide, our local travel representative, Dante, our guide, Manolo, our other guide and driver, Casiano, our waiter, and Andrea, the gallerist work so hard to keep the reputation of Mexico as a safe and pleasant destination, so they deserve their tourists. I have to say that despite what we hear about the safety in Mexico and Acapulco in particular, not once did we feel unsafe. 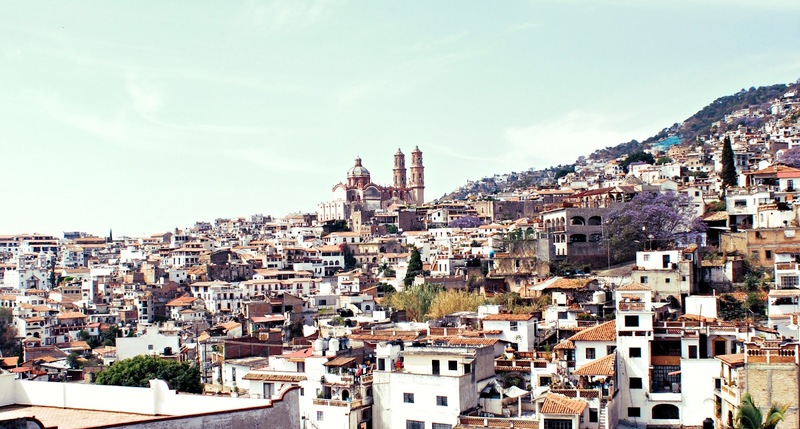 My family ignited a travel bug in me from an early age and I have been traveling enough to recognize Mexico as a truly fascinating place. What I like about it is this fine balance between the modern influence and the cultural tradition. 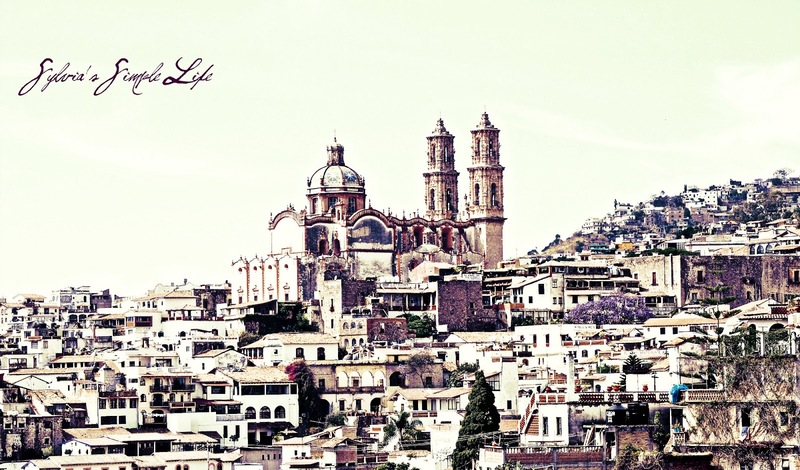 It you ever find yourself looking for an escape from the grey routine of daily life into another brighter, foreign as much as familiar world, I recommend exploring Acapulco Bay, Mexico city, Taxco, Tres Palos lagoon, Coyuca lagoon... 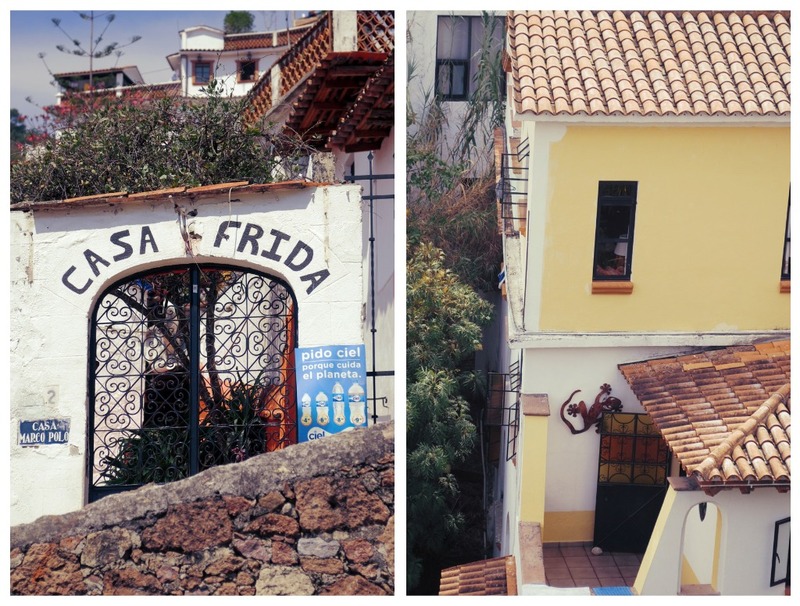 I know, Mexico doesn't seem too exotic for some people, but you won't be disappointed. If you already did it, share your impressions with me. Thank you, dear friends, for thinking of me and reading my blog. I feel as though I truly DID just take an escape, thank you so much. The words, the pictures..........what a delight! Absolutely amazing, breathtaking post! Thanks for sharing with us ! Dereast, beautiful Sylvia! Thank you..GRACIAS for sharing this magnificent treasure of a vacation! What beauty...your photos and descriptions have worked their magic..on me for sure! 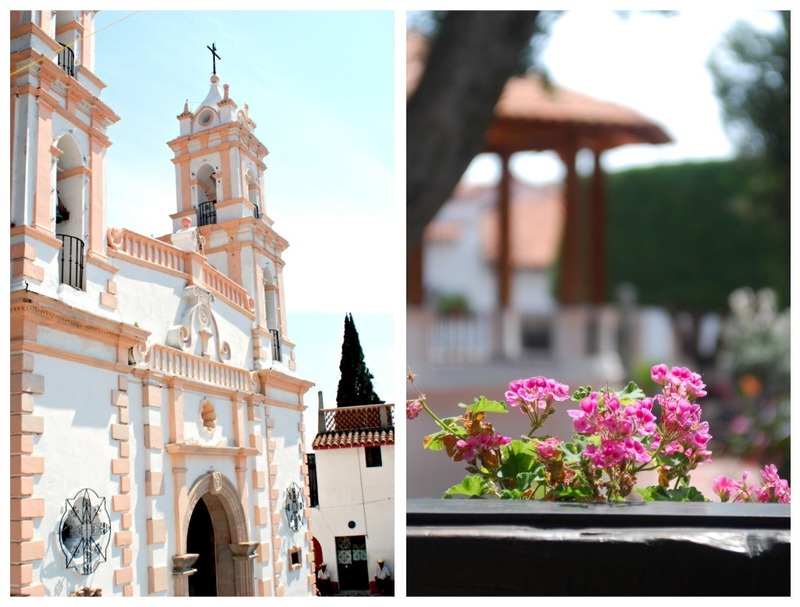 A rich, fascinating country..
That church..and you tried on Frida's necklace? I wonder what kind of a tree that is with the gorgeous purple flowers. Thank you, dear friend, for allowing us to travel right alongside with you...what a treat! Again, stunning photography. Sylvia, thank you for taking me along on your lovely escape. What a beautiful place to visit and explore! 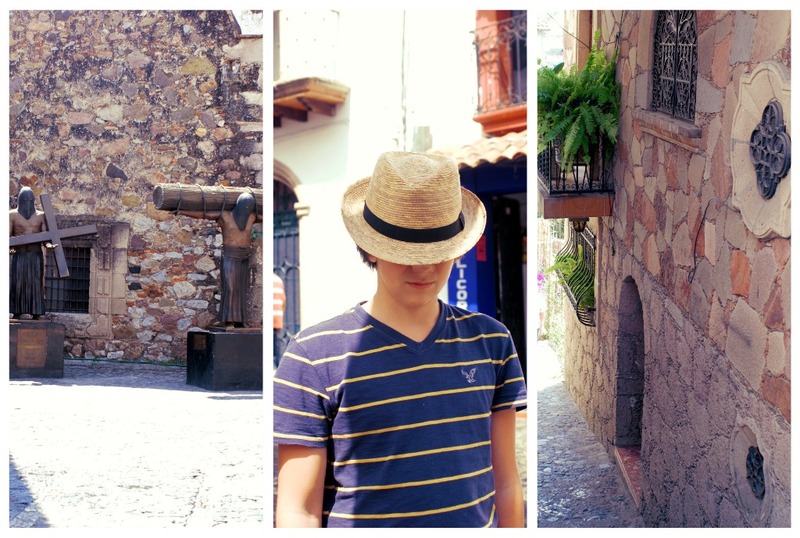 I didn't know that Mexico could be so beautiful! It's reassuring to hear that it can be good to travel there. Your photos are truly wonderful! Dear sister, so good to "see" you at my place! Thank you for the name of the tree, it is exquisite, and I will try to find some more info online. WOW. I have missed you since I do watch when you post next, but I had NO IDEA you were HERE!!! My father was born in an obscure little town in Mexico, founded by his ancestors from Spain, but HE NEVER TOOK ME TO MEXICO! This is just GORGEOUS and you look as if you have a SPLENDID time there....oh, how BEAUTIFUL everything is! And that quote by Mark Twain is SOOOOOOOO TRUE!!! One sees how others live and THINK and WHY....what a great post and THANK YOU for your kind words last night! Beautiful photo's! I thought it was Italy at first :-). Wow, what stunning pictures! You are so talented! This post has really inspired to book our next family trip. I've been procrastinating but now I'm going to get organised and call our agent! I would be so thrilled if you could link up this post to my Say G'Day Saturday Linky Party! Best wishes and thanks for stopping by today! Wonderful wonderful photos, what an amazing place. It is highly unlikely that I will ever be lucky enough to visit Mexico, but you have brought the warmth and atmosphere to life in your shots. Trying on Frida Kahlo's necklace must have been quite a moment, her work is emotive and stirring and a miracle of endurance considering how she suffered in life. Mark Twain is a hero. Thank you Sylvia for this beautiful post. I have been to Mexico twice, but not to these parts. 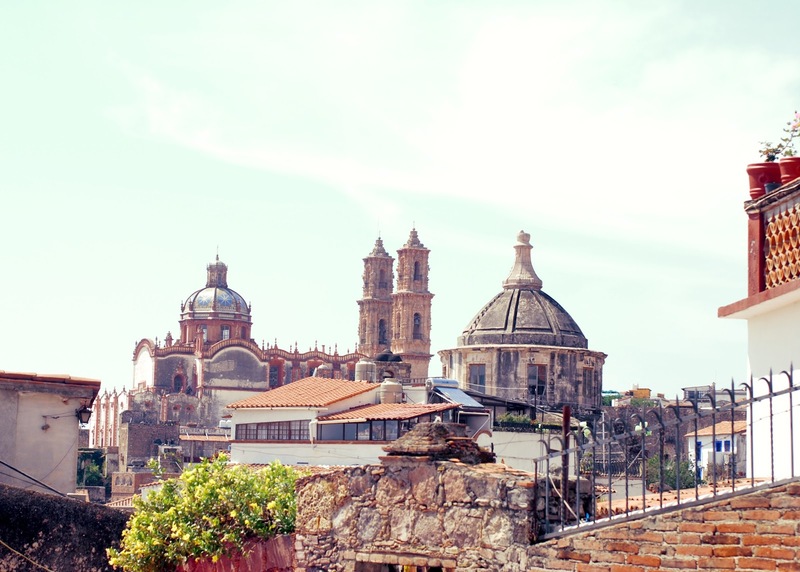 I am wondering if there are any hotels that you would recommend from the areas you stayed in since I have thought about travelling to other parts of mexico. We stayed in a very quite hotel in Acapulco; great service , each room has an ocean view and charming costal decoration; great location ...The name of the hotel is El Cano. Your pictures are surreal, so dreamy. Only cruised to Mexico once, Cozumel. I remember those crystal clear waters like no other, and I am from Florida. Such lovely photos...now you got me wanting to go away. Especially seeing we woke up to snow today. Oh, this place is so fantastic! And so is your writing talent, Sylvia.